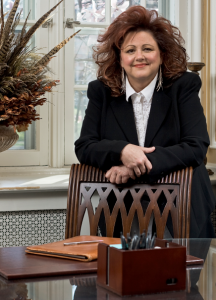 I am a family law attorney in St. Louis, Missouri. After graduating from the University of Houston, Bates College of Law, I began my legal career as a litigator for United Airlines. I quit my “dream job” at United Airlines and opened my own family law mediation practice. Wanting to learn even more about the psychology of resolving conflict, I studied family therapy at the Menninger Psychiatric Institute for 2 years, receiving a post-graduate degree in Marriage and Family Therapy. Such additional education helped me understand the family dynamics that occur during divorce mediations, making me a better mediator for couples facing divorce. My law firm specializes in divorce mediation and litigation. I also now teach 40-Hour Divorce Mediation Trainings for the Missouri and Illinois Supreme Courts and hope to increase the number of State Supreme Courts that accept my trainings. After a few years of litigating, I noticed that the person with the most money usually won a lawsuit. This realization, true or not, led me to research other methods of dispute resolution. I started taking Alternative Dispute Resolution CLE courses in Chicago, Illinois. After taking all the classes I could find on business dispute resolution, I expanded my search to family mediation and I was hooked. I had found a way to use my law degree to help people resolve disputes in a respectful manner, insuring that both sides got their most important needs met. My chief goal as a Board Member of APFM is to help establish a system of certification of mediators so that their level of education and expertise can be recognized. I believe mediators deserve recognition for their experience and the public deserves to know a mediator’s experience before hiring one. I see the field of Family Mediation growing vastly in the future. Family law clients are getting smarter about what they want from the legal system, and mediation gives them the information and power to achieve the results they want within our legal system. When I am not mediating, I can usually be found hanging out with my 3-year-old granddaughter, drawing dinosaurs, watching Disney movies and loving living in her world of fantasy.